Description: Great time to build with concept builders! 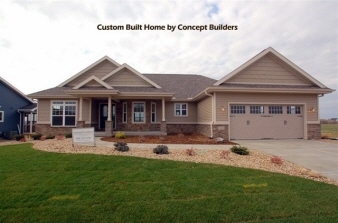 Check out this beautiful custom designed home. We offer many plans to choose from or custom design your own. Bristol gardens includes bike paths, park with shelter, tennis courts, basketball & sledding hill and within 2 miles of sun prairie.